Law Office Of W. Matthew Iler, Jr. Esq. From 1994 to 2002, Mr. Iler served as an Assistant District Attorney in Suffolk County, both trying numerous cases, and handling appeals before the Massachusetts Supreme Judicial Court and Appeals Court. During his tenure he also served as Chief of the Asset Forfeiture unit. From 2002 to 2004, Mr. Iler won certification onto the post-conviction litigation panels of the United States Court of Appeals for the First Circuit (CJA panel) and the Massachusetts Committee for Public Counsel Services. From 2005 to 2007, Mr. Iler tried numerous health care reimbursement cases in New York. He acted as lead counsel in several high-profile cases and was noted for winning more than 90 percent of the trials he handled. In 2008, Mr. Iler was honored with recognition in Massachusetts Lawyers Weekly for winning a trial to reverse a fraudulent conveyance of real estate. Between 2008 and 2012, Mr. Iler achieved success by aggressively prosecuting business and real estate litigations for Boston area businesses. He secured preliminary attachments of bank accounts, real estate and other assets; and won favorable court rulings and settlements. 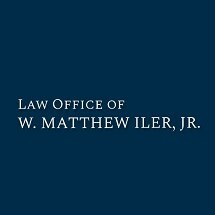 Contact the Law Office of W. Matthew Iler Jr. by calling 617-835-1626 . Read more about the types of cases we often handle. Learn more about the firm.